Members of West Midlands Fire and Rescue Authority are considering asking local councils to increase the amount of money they collect on the Authority’s behalf in 2013/14. 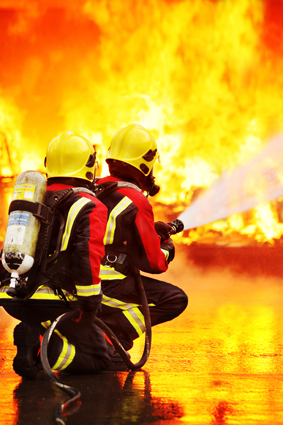 In the proposal put forward by West Midlands Fire Service, council tax payers will be asked to pay an extra £5 a year, or 10p a week, "to maintain the quality of emergency services provided in the area". WMFS Chief Fire Officer Vij Radeniya said: “Our firefighters and staff are continuing to rise to the challenge of unprecedented financial pressures, and are providing a service we can all be justly proud of. Subject to members’ agreement, it is expected that the Authority will increase its precept by £5 a year for the average Band D council tax property to cover the difference between WMFS £107m budget and the £74m government grant they receive. A surge in incidents in the period before Christmas saw fire crews rescue more than 20 people from fires and road accidents. WMFS provides round-the-clock emergency response from 38 fire stations across the region, dealing with fires, road traffic collisions, water rescues and major chemical incidents. Councillor John Edwards, Chair of West Midlands Fire and Rescue Authority, said: "Even with an average £5 extra a year from households, local people will still be making the lowest contribution anywhere in the country to their fire and rescue service. This small increase is needed because we are losing over £20 million of central government grant during the current four-year period. “I give an absolute pledge to local tax payers that every penny of this increase will be spent on our frontline services. Our firefighter numbers will have fallen from 1,600 to 1,230 between 2011 and 2015. "The small increase we are proposing will ensure that we keep our front line as strong as possible, keep all our fire stations open, and maintain our first class five-minute target response time to life-threatening incidents. The men and women who work for the fire and rescue service provide a world-class service for communities across our region. I hope people will agree that it’s worth an extra fiver a year to protect that."